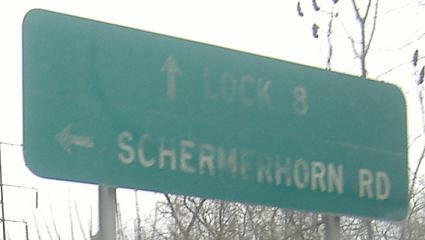 At the beginning of NY 337, here facing eastward, there is a remnant of the old alignment of NY 7 before it was realigned to cross I-90. 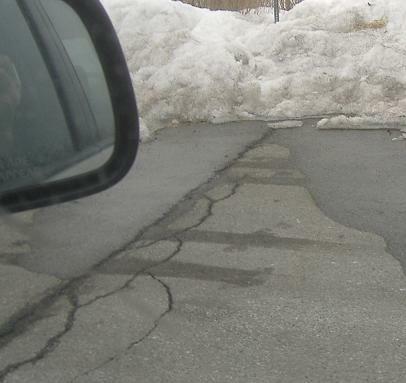 This paved stub, which connects only to 337 (7 is at the right edge of the photo), serves a driveway and thus has a name, Old Duanesburg Road. NY 7's name you can probably guess. 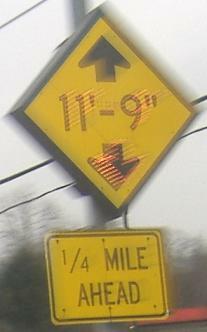 Usually flashing signs are for sharp curves on truck-heavy roadways, not for a simple low clearance warning. 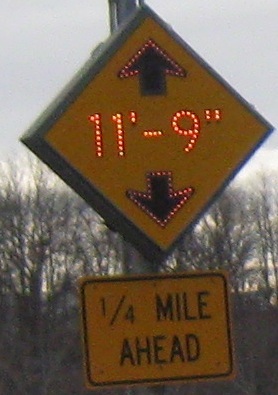 Maybe truck drivers unfamiliar with the area try to use I-890 to NY 337 to NY 7. These are NB and SB, respectively. 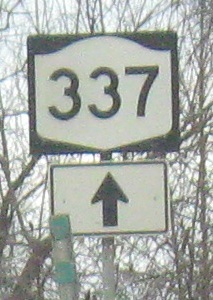 NY 337 NB is approaching its turn onto West Campbell Rd. 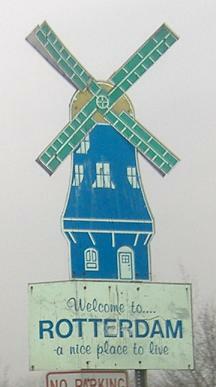 from Burdeck St.
Also southbound, this windmill is one of many for traffic entering the city. They all appear to have been erected at about the same time. Think of it as an extreme cutout. This technically is only on Rice Rd. NB, past the end of NY 337 (which was at I-890). The Mohawk River and Erie Canal is (singular, right here there's no separate canal) just to the right/northeast. 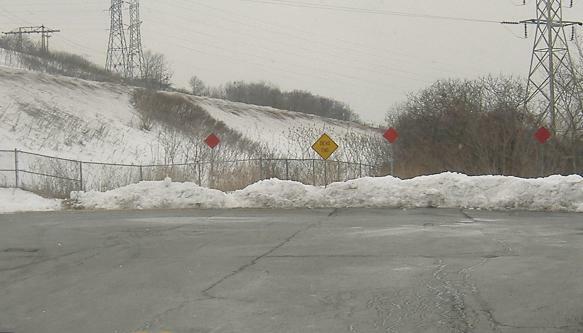 Continue down Rice Road and you'll see that it was former NY 5S, now cut off by I-890.